The following is a discography of Anthrax, an American thrash metal band based in New York. Anthrax has released nine studio albums, six EPs, four live albums, ten Videos, twenty-nine singles, and twenty-nine music videos. This list does not include material performed by members or former members of Anthrax that was recorded with side projects or as part of their solo work. Anthrax was formed in 1981 by Scott Ian and Danny Lilker. They found the band's name in a biology textbook and claimed it because it sounded sufficiently evil to them. Anthrax started playing locally. In 1983 Anthrax signed to Megaforce Records. 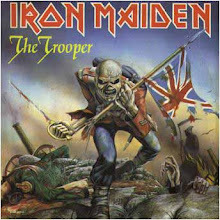 The band released Fistful of Metal in 1984, and the following year they released Spreading the Disease. After the album came out, by this time Anthrax had signed with Island Records. In March 1987, the band released its third studio album, Among the Living, which was Anthrax's first Gold certified album by the RIAA. Among the Living was released in March 1987 and peaked at number sixty-two on the Billboard 200. 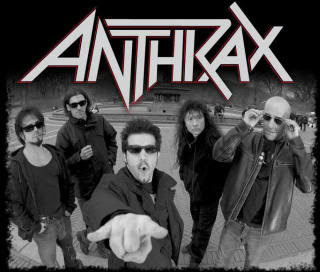 Anthrax's fifth album was State of Euphoria which was released in 1988 and peaked at thirty-one on the Billboard 200. The band embarked on a tour in support of the album. Anthrax would later release Persistence of Time which peaked at 24. After the release of a video and a live album the band released Sound of White Noise which peaked at 7 which is their highest position to date on the Billboard 200. The band would continue to release albums but they would get weaker chart positions than before. Anthrax's has sold over 6 and a half million copies in the United States alone.